Kaiden Brand is building in confidence with each AFL game. The players you should keep your eye on in our clash with West Coast. Key defender Kaiden Brand is growing in confidence at AFL level after seven games at the level so far this season. R16: Will the real marker please stand up? 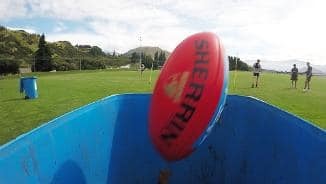 The Hawks seem to be taking their time with the key defender, who played 10 games at AFL level in 2018, including the last six of the home and away season, during which they went on an unbeaten run to clinch a top-four finish. He was an unlucky omission for the two finals defeats, but the consolation was a winning Grand Final for Box Hill. His best outing at AFL level was an 18-disposal, four-mark outing against Fremantle in round 18. He signed a one-year contract extension late last season and the Hawks are keen to keep him as his game develops. 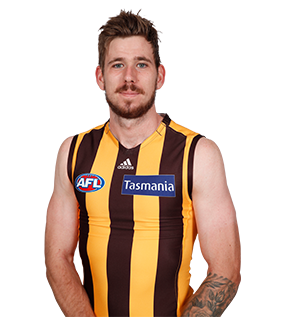 Draft history: 2012 NAB AFL Draft 4th round selection (Hawthorn) No. 66 overall.